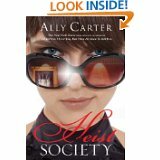 Heist Society (Heist, #1) by Ally Carter | Elaine Reads . . . constantly! I have been wanting to read Ally Carter’s Gallagher Girls series since she began publishing them. I just haven’t taken the time. Heist Society, however, is on this year’s YALSA’s Teens Top Ten list so I went ahead and read it. I am so glad that I did. She is an excellent author. There are all kinds of twists and turns, but none of them seem far fetched. It was more of a “I should have seen that coming” or “Why didn’t I think of that?” style. The ending was very satisfying with a definite option for a sequel, but no cliff-hanger. I am so tired of cliff-hangers! 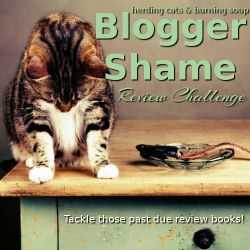 I found the following information on the author’s blog. And yes, I am definitely moving her Gallagher Girl series closer to the top of my TBR list.